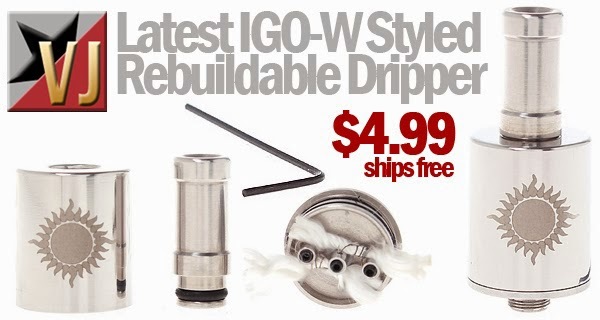 The Igo-W is a large 3 post dripper thats purpose built for dual coil builds. These drippers have a small lip on the deck which holds some extra juice for the wicks to soak up. For $4.99 you cant beat it.